I’ve been having fun here in Spokane, despite the smoke. So much fun, in fact, I’ve been lax and have nothing prepared to go with your Sunday Coffee this morning. Expect something midweek. 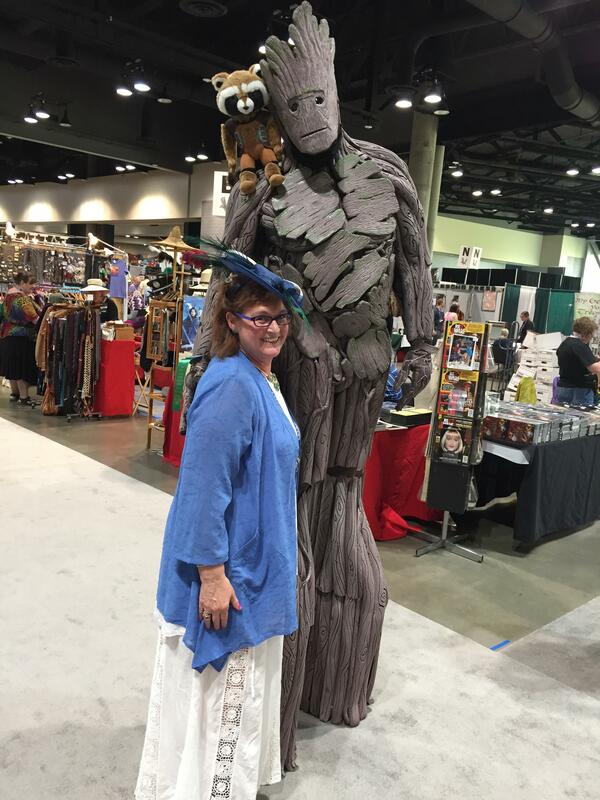 In the meantime, I leave you with a picture of yours truly and WE ARE GROOT who I found wandering around in the Dealers Room. Two nights later he received the Best Novice award in the Masquerade. Jason Giddings won a free membership to Costume-Con 36, San Diego, 2018. May he live long and prosper. We shall talk later, Peeps. I’ve lots to share from my first WorldCon adventure.